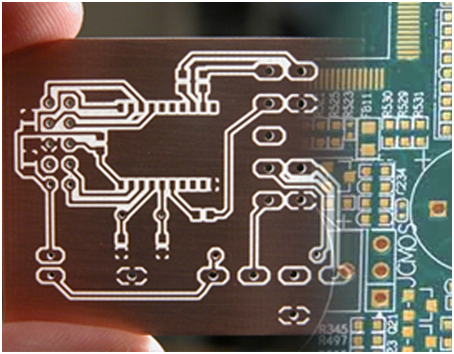 According to Innovative Business Enterprises, the demand for PCBs in India is expected to grow to over 45 million sq m by 2014, translating to an impressive CAGR of 17 per cent. While India is exporting about 24 per cent of its PCB production to the US, Germany, Malaysia, Austria, Belgium, etc, it has a fairly large domestic market to cater to. While this survey is by no means comprehensive, it does provide a glimpse into many of India’s key PCB manufacturers. AT&S India Pvt Ltd is a wholly owned subsidiary of Austria Technologie & Systemtechnik AG, Austria, one of the leading manufacturers of PCB in Europe. AT&S AG acquired India’s largest PCB manufacturer in 1999 and significantly expanded its capacity in the years that followed. Ascent Circuits has a state of the art reverse pulse plating line. It is a fast growing company with an annual capacity in excess of more than 500,000 sq m of single sided PCBs and 108,000 sq m of double sided, multilayer PCBs. An ISO 9001-2008 certified and UL approved company, Shogini has two plants of 32,000 sq m and 6000 sq m, with a total annual production capacity of 200,000 sq m.
Sectors it caters to: Telecom, automotive, computer peripherals, power electronics, LED lighting, process control and energy management. Epitome Components is an Indian company that started off with a manufacturing capacity of15,000 sq m of PCBs per month and today has reached a capacity of 100,000 sq m per month. Its range of products is customised to meet individual needs. Sectors it caters to: Consumer electronics, lighting, telecommunications, automotive, power and defence. Circuit Systems India Ltd (CSIL) has a strong focus on R&D for process improvements, cost reduction and new product development. Recently, CSIL acquired PCB Power as its online marketing partner. A subsidiary of Mirc Electronics Ltd, Akasaka has adopted process technology from Japan to achieve the critical specifications of track width and spacing. It has an annual capacity of 1 million sq m.
The company has entered into a 100 per cent technology tie-up with hi-tech PCB manufacturer, Amitron Corporation, USA. The company aims to compete in the world markets by continuously improving its capability to handle higher PCB complexity (thinner lines and smaller holes), gearing up for smaller lot sizes, shorter lead times and a broader range of materials. In the FY 2011-12, it registered a total turnover of Rs 220 million. Micropack’s manufacturing unit is spread over an area of 5000 sq m and it has a production capacity of 30,000 sq m per annum. 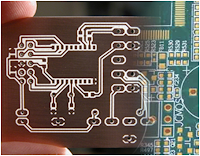 The company has a 5000 sq m dedicated modern PCB manufacturing facility, and is committed to matching international standards in the design and manufacture of PCBs. Spread over 10,000 sq m with a capacity of 72,000 sq m of PCBs per annum, the company has in-house facilities for design, prototyping, manufacturing and quality assurance. The company was established by Canadians of Indian origin in 1988 with the technical collaboration of Lazer-Tech (Canada). It has experienced management, skilled manpower and is led by Canadians and Americans of Indian origin and has just doubled its production capacity.